Preferred Auto Fort Wayne State is honored to present a wonderful example of pure vehicle design... this 2017 Ford Mustang EcoBoost Premium only has 38,070mi on it and could potentially be the vehicle of your dreams! Those shopping for a sporty convertible would be wise to check out this Ford Mustang EcoBoost Premium. With the versatility to easily switch between open-air and closed-cabin driving, it's hard to ignore the everyday practicality of this Mustang. When it comes to high fuel economy, plenty of versatility and a great looks, this FordMustang EcoBoost Premium cannot be beat. This Ford Mustang's superior fuel-efficiency is proof that not all vehicles are created equal. 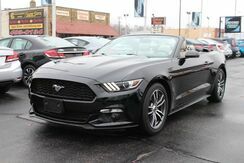 This model sets itself apart as a convertible with a powerful engine, Mustang mystique, modernized styling, improved fuel economy, and sporty handling. 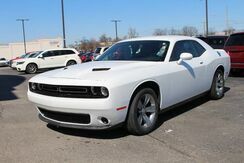 Preferred Auto Illinois Road is pleased to be currently offering this 2013 Dodge Challenger R/T with 33,245mi. This low mileage Dodge Challenger has barely been touched. It's the next best thing to buying new. There are many vehicles on the market but if you are looking for a vehicle that will perform as good as it looks then this Dodge Challenger R/T is the one! The 2013 Dodge Challenger is instantly recognizable and one of the most distinctive new cars at any price. With thoroughly modern underpinnings, the Challenger manages to maintain legitimate V8 muscle-car credibility while meeting modern expectations for ride comfort, handling and safety. The R/T Challenger is notable as the only V8 muscle car currently sold for under $30,000. Among coupes, the Challenger is surprisingly practical; it seats five people and Dodge says that it has best-in-class rear headroom and legroom; it also boasts best in class in trunk space. 1 OWNER! CLEAN HISTORY REPORT! NAVIGATION! REAR BACK UP CAMERA! TOUCH SCREEN DISPLAY! DRIVER SIDE MEMORY SEAT! HEATED AND COOLED LEATHER FRONT SEATS! HEATED LEATHER SEATS IN REAR! HEATED STEERING WHEEL! PANORAMIC MOON ROOF! PUSH BUTTON START! KEYLESS ENTRY! HARMAN/KARDON SOUND SYSTEM! BLUETOOTH! You can find this 2016 Kia Optima SXL Turbo and many others like it at Preferred Auto Illinois Road. A Kia with as few miles as this one is a rare find. This Optima SXL Turbo was gently driven and it shows. You could keep looking, but why? You've found the perfect vehicle right here. 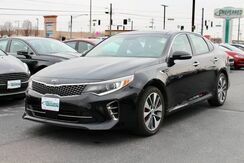 There are many vehicles on the market but if you are looking for a vehicle that will perform as good as it looks then this Kia Optima SXL Turbo is the one! Strengths of this model include hybrid availability, Strong value ratio, powerful engine lineup, extensive standard feature list, and stylish new design. Preferred Auto Illinois Road is pleased to be currently offering this 2017 Chevrolet Express Passenger LT with 44,456mi. In a market that's evolving toward "world" models and lighter builds, the Chevrolet Express vans keep their body-on-frame design oriented for the U.S. market, with better towing capacity than most of the competition. 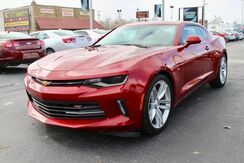 Contact Preferred Auto Fort Wayne State today for information on dozens of vehicles like this 2016 Chevrolet Camaro LT. The all-new sixth-generation Camaro improves upon the outgoing model in every way. More importantly, the new Camaro goes toe to toe with rivals like the Ford Mustang and Dodge Challenger. The V6 is the most powerful in its class. With upgraded cabin materials, selectable driving modes, and slick retro-modern styling, the 2016 Camaro is hard to beat. Interesting features of this model are interior quality, convertible availability, performance, standard features, and efficient, powerful engine. Contact Preferred Auto Illinois Road today for information on dozens of vehicles like this 2015 Chevrolet Camaro LT. If you're looking for a great pre-owned convertible, look no further. This exceptional car has all the features you want. The Chevrolet Camaro is a modern take on GM's legendary muscle-car, offering strong rear-wheel-drive performance in a low coupe or convertible body style. Relative to the other pony cars like the Ford Mustang or Dodge Challenger, the Camaro performs athletically, although it gives up some outward visibility for the chunky, bold design. The performance standout of the model line remains the Camaro SS Coupe. Camaro Convertibles are a strong value as well and provide a different sort of fun. Strengths of this model include muscle-car look and feel, strong acceleration, good highway efficiency, great handling, and daring design inside and out. Off-road or on the street, this Mazda CX-5 Grand Touring handles with ease. This Mazda CX-5 features AWD. That means power and control delivered to all four wheels for maximum grip and improved handling. 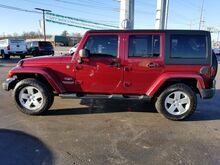 This 2012 Jeep Wrangler Unlimited has been SERVICED AND RECONDITIONED and also comes with FREE CAR WASHES FOR LIFE!! Preferred Auto Illinois Road is excited to offer this 2018 Dodge Challenger. The quintessential Dodge -- This Dodge Challenger SXT speaks volumes about its owner, about uncompromising individuality, a passion for driving and standards far above the ordinary. This is the one. Just what you've been looking for. 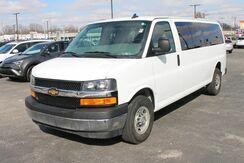 Preferred Auto Illinois Road has a wide selection of exceptional pre-owned vehicles to choose from, including this 2017 Chevrolet Express Passenger. AUTOCHECK REPORTS ZERO ACCIDENTS, 1 OWNER -- HEATED LEATHER SEATS, PANORAMA ROOF, BACKUP CAMERA W/ BIRD'S EYE ASSIST, NAVIGATION, BLUETOOTH, POWER REAR LIFT GATE, KEYLESS START, SPORT AND ECO MODES, SMARTPHONE APP INTEGRATION, MUCH MORE! 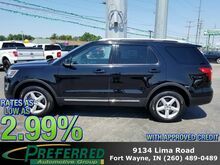 Thank you for visiting another one of Preferred Auto Fort Wayne State's online listings! 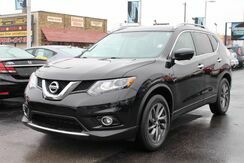 Please continue for more information on this 2016 Nissan Rogue SL with 23,472mi. On almost any road condition, this Nissan Rogue SL offers solid performance, reliability, and comfort. The Nissan Rogue SL speaks volumes about its driver, uncompromising individuality, passion for driving, and standards far above the ordinary. It's exceptional fuel-efficiency is a clear sign that not all vehicles are created with the same standards. The Nissan Rogue is a small SUV/crossover, offering a more car-like driving experience than the more hard-core Nissan Xterra. 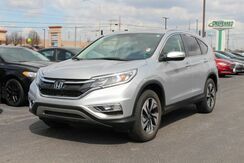 This puts the Rogue in direct competition with vehicles such as the Toyota RAV4 and the Honda CR-V, two vehicles with several generations and years of success under their belts. In order to remain competitive, Nissan has equipped the Rogue with a bevy of features and some very reasonable base prices. 1 OWNER! CLEAN HISTORY REPORT! NAVIGATION! REAR BACK UP CAMERA! TOUCH SCREEN DISPLAY! PUSH BUTTON START! KEYLESS ENTRY! REMOTE START! HEATED LEATHER SEATING! DRIVER SIDE POWER SEAT! PANORAMIC MOON ROOF! BLUETOOTH! 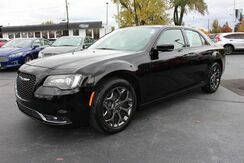 Preferred Auto Fort Wayne State has a wide selection of exceptional pre-owned vehicles to choose from, including this 2016 Chrysler 300. This vehicle has an added performance bonus: AWD. It improves handling on those winding back roads, and gives you added safety and control when driving through wet and snow weather conditions. Gently driven doesn't even begin to explain how lovingly cared for this ultra-low mileage vehicle has been. Driven by many, but adored by more, the Chrysler 300 300S is a perfect addition to any home. Interesting features of this model are comfortable ride, available all-wheel drive, roomy interior, Athletic V8 engine option, and luxury-style interior touches. Preferred Auto Illinois Road has a wide selection of exceptional pre-owned vehicles to choose from, including this 2016 Mazda CX-5. Do so much more with one vehicle. This Mazda CX-5 gives you everything you need an automobile to be. Comfort. Performance. Safety. Enjoy all three with this well-appointed AWD 2016 Mazda. 1 OWNER, 0 ACCIDENTS! HEATED LEATHER SEATS! NAVIGATION! HEATED STEERING WHEEL! Preferred Auto Fort Wayne State has a wide selection of exceptional pre-owned vehicles to choose from, including this 2018 Dodge Grand Caravan. There is no reason why you shouldn't buy this Dodge Grand Caravan GT. It is incomparable for the price and quality. This is about the time when you're saying it is too good to be true, and let us be the one's to tell you, it is absolutely true. There are many vehicles on the market but if you are looking for a vehicle that will perform as good as it looks then this Dodge Grand Caravan GT is the one! You can finally stop searching... You've found the one you've been looking for. Thank you for visiting another one of Preferred Auto Illinois Road's online listings! 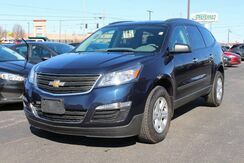 Please continue for more information on this 2016 Chevrolet Traverse LS with 22,348mi. This Chevrolet Traverse offers all the comforts of a well-optioned sedan with the utility you demand from an SUV.